I’ve said time and time again that I can’t get enough of skinny jeans! Sometimes I feel that there are far more varieties of skinny jeans than any other style…although boyfriend jeans are a close second. Selvedge denim is something I am fairly new with, but already love, and as a contributor at Denimology I am fascinated by how many different varieties there are in the selvedge realm alone. All of the super stretchy jeans out there are a huge favorite of mine due to the fact that they work so amazingly with my body shape, but I know they don’t vibe very well with some denim fans out there…we all have our preferences. However, there is something to be said for the classic cotton denim jean, especially those made from selvedge fabrics, which have a way with molding perfectly to your body over time with wear. I love every jean I review here at Denimology but of course I am always so excited to try out a new selvedge pair! Especially if it’s from a brand that I haven’t yet gotten a chance to try out. So with that said, I now present you my STRÖM Brand Tre Selvedge Skinny Jeans in Crush review! I am always trying to tell people how comfortable denim really is nowadays…I know I’ve mentioned it countless times here through numerous posts that it’s fascinating to watch so many of the seasoned, as well as new, brands becoming remarkably innovative in the face of increased competition with the athleisure industry as leggings take over the market. So many styles aren’t only ridiculously soft, but also are now amazing when it comes to keeping their shape thanks to new technologies in fabric blends, and with this also comes along some super flattering fits. 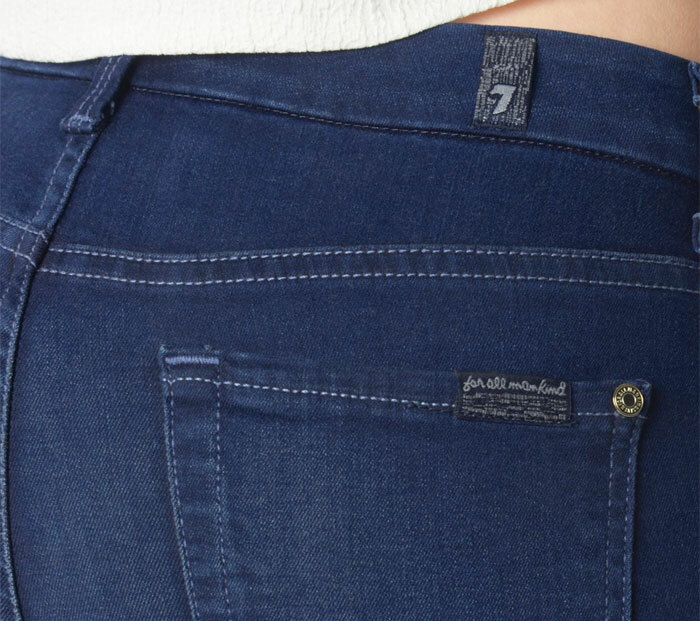 7 For All Mankind came out with their Slim Illusion line a little while ago, which incorporates maximum stretch and retention for incredible shape, a luxurious soft feel and a second-skin fit. I have a pair that the brand sent me that I’ll be reviewing very shortly (I did a preview blog post last week, see it here) so stay tuned for that! I can vouch that they are in fact pretty amazing! Now, the brand has taken it another step by introducing Slim Illusion Luxe, which is made of 9.2 oz. “Luxe Stretch Denim”, or a blend of about 50% Rayon,42% Cotton, 6% Polyester, 2% Spandex to be exact. 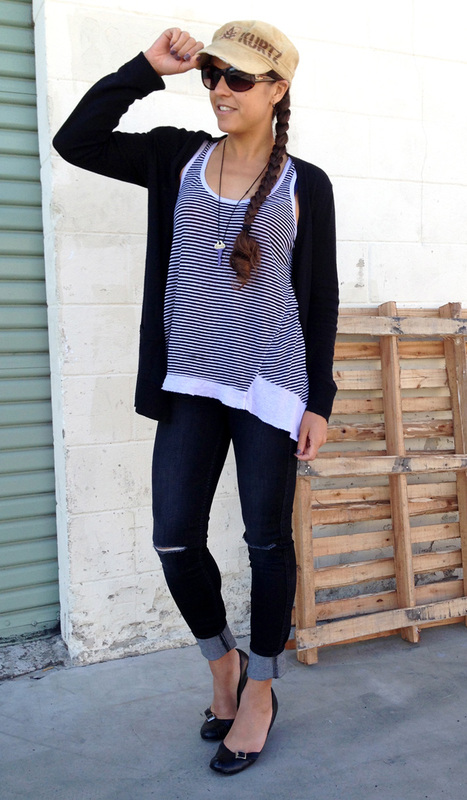 These jeans promise to provide “extreme softness,” and I can’t wait to try a pair! They look so smooth and buttery! Styles include the curvy Kimmie fit in both bootcut and straight, as well as the mid and high rise skinny Slim Illusion fits. Check out the styles below, along with a special offer good through August 24th! Out of all the reviews I’ve done for Denimology, I’ve got to say Marc Allison has been one of my favorites! I had heard of the brand several years before I became involved with the popular denim blog, and I was so excited to finally try them out! I started with reviewing the Gina Slim Boot in White, and then this year the Shirl Classic Bell in New Vintage as the super fun ’70s style made a comeback this spring. I absolutely love the high durability of the fabrics, which still keep just enough stretch to hold you in without stretching out at all. They are super flattering! MAJ also offers home trunk shows, which I have considered and hope to do one of these days when my schedule isn’t so hectic (if that ever happens). What impresses me the most about the brand is their ability to do so well on their own without selling to boutiques, and only relying on those home trunk show parties and direct sales on their website. However, after one tries on a pair, it makes perfect sense! I know I speak very highly about so many brands here, but these are truly unique, and are amazing for those who want a clean, great fitting, stretchy jean without the thin spandexy feel that will keep its shape and relevancy through multiple seasons. The rapid rise of the athleisure trend had a high impact on the denim industry last year, as activewear companies began catering to those craving comfort in their everyday casual lives by creating fashion forward styles that reached beyond the gym. Denim took a bit of a hit, and many companies went back to the drawing boards to come up with something different. Never before have I seen so much innovation in the denim industry, with seemingly endless variations in stretchy, more comfortable, shape-retention fabrics hit the market to give the athleisure trend a run for its money. It was so fascinating to see just how comfortable a pair of jeans really could get! Denim joggers were also among the new, softer styles, and Diesel was one of the brands last year to come out with their own, the Jogg Jean, which combined jersey with denim and fabric technology from their Skinzee shaping denim line, with 3% spandex, super stretch fabric that never bags out and provides a flattering lift (source). Now, the brand has taken this style to another level, branching out another version for the women’s F/W 2015/16 season. The Actyvista jean retains the original science behind the Jogg Jean, with the addition of a special fabric weave with finer yarns, much like that of activewear itself, for a true “hybrid” jean. It’s been a little while since I’ve had a review or outfit post…life got a bit busy again (as it has a tendency to), especially for my hubby who’s been working mad long hours at work and unable to help with the photography portion of my posts! On top of that, I fell pretty ill with a flu and a bit of laryngitis so I think it doesn’t even need to be said that I wasn’t feeling all that glamorous enough for a shot anyway. Great timing, huh? Anyway, I’m back at work and my voice is still quite raspy, but I was able to employ a coworker to help me get some quick snaps for a Friday post! This one is kind of a preview to an upcoming denim review I have coming up for my own blog here, my third I’ve done apart from Denimology, for the 7 For All Mankind Slim Illusion High Waist Skinny in Icy Black 2, which was graciously sent to me by the brand when I inquired about another beautiful style, the Slim Illusion High Waist Skinny in Ultimate Icy Black! I still might have to scour eBay for that one…(I can’t resist, it’s just gorgeous) but I am loving this other pair! The high waist isn’t uncomfortably high (high waists have been growing on me a little bit), the stretch is comfortably amazing and true to 7FAM’s word, they have not stretched out a tad. They didn’t come cuffed but I love the extra accent that cuffing them gives them! I always like distressed denim in the summertime and these have a unique, simple slash across each knee instead of the all-around distressing we often see floating around the market. I love them all, but these I am particularly fond of right now! Stay tuned for a more in-depth official review. 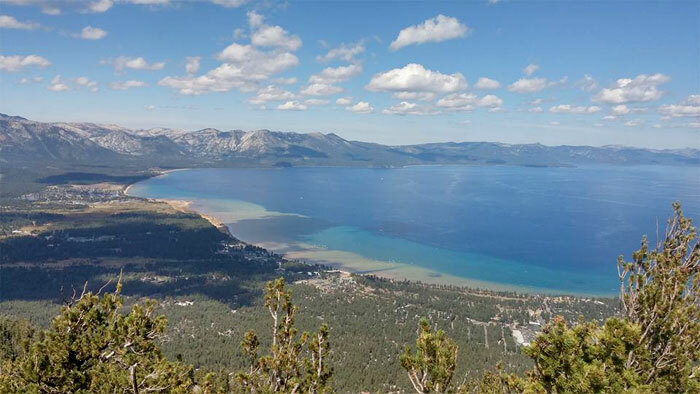 This is definitely an interesting time in denim, and in the fashion world as well, due to the increasing awareness of our footprint on Mother Earth and ethical manufacturing practices. 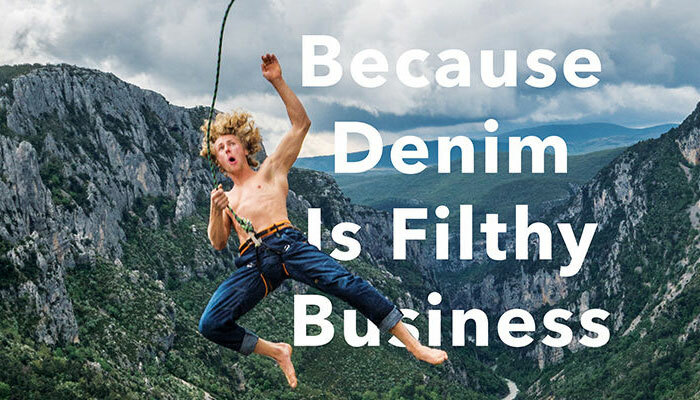 Not only are so many brands upping the ante competitively with some incredibly innovative ideas for what was once seen as just a pair of jeans, but many are also doing their best to make their production as clean and kind as possible. This is one of the reasons why I choose not to go the fast fashion route by buying more at cheaper prices, and am willing to buy less at higher prices due to the fact that despite what many people might think, many of these pricier brands really are doing their part to make a global difference. Level 99, Levi’s, and AG are great examples of denim brands doing something to reduce their impact in some way. Patagonia, best known for their high performance activewear for the serious adventurists amongst us, is now out to change conventional denim manufacturing as we know it, by releasing a brand new denim line for women and men with some pretty impressive eco-friendly and fair trade features. I think more now than ever has the general public been aware of the serious issues surrounding wildlife populations around the world (thanks in part to social media of course). As we start to see wildlife numbers dwindling at alarming rates (faster than ever before) and unfortunate situations like that of Cecil the lion flooding the news, many of us want to take action, but might not be quite sure how. 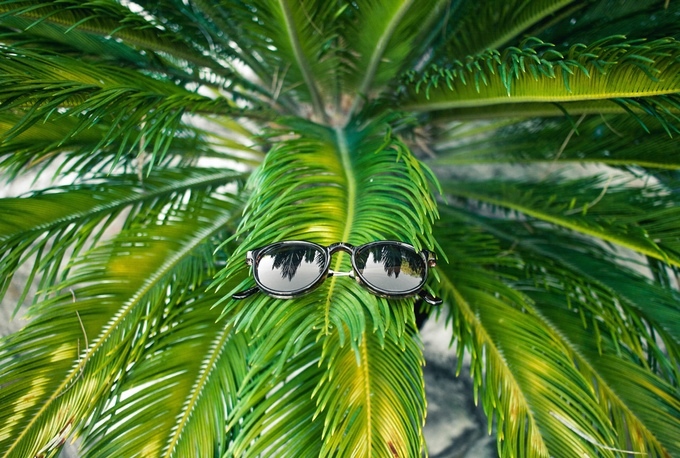 Either way, there have been numerous organizations out there leading the fight and there is one Kickstarter campaign that now aims to make them even more accessible to you: Extinct Sunwear! Once their Kickstarter campaign is funded to the point where the first run of these cute retro sunglasses can be made, buyers will not only receive a pair of retro shades they can rock with pride, but they will also be supporting three organizations that Extinct Sunwear is working with: Sea Shepherd, The IAPF (International Anti-Poaching Foundation), and African Parks Foundation. I love seeing such needed causes merging with the fashion world…not only does it help spread awareness, but it puts the power in the hands of a much wider spread of people…and makes it fun as well! Extinct will also offer tee shirts along with their eyewear. Every day I see perfect examples that prove to me that the possibilities in the denim world are endless…the blue jean is definitely not your average blue jean anymore! Joe’s is definitely one of the innovative ones on the top of the game, with several past and present capsule collections under your belt. One interesting thing I’ve noticed is the slow but gradual merging of tech and apparel. Google and Levi’s have been working together to create wearable tech, with the goal being to produce clothing that can relay, transmit, display or interact with data from any device that might be close by, as early as 2016. 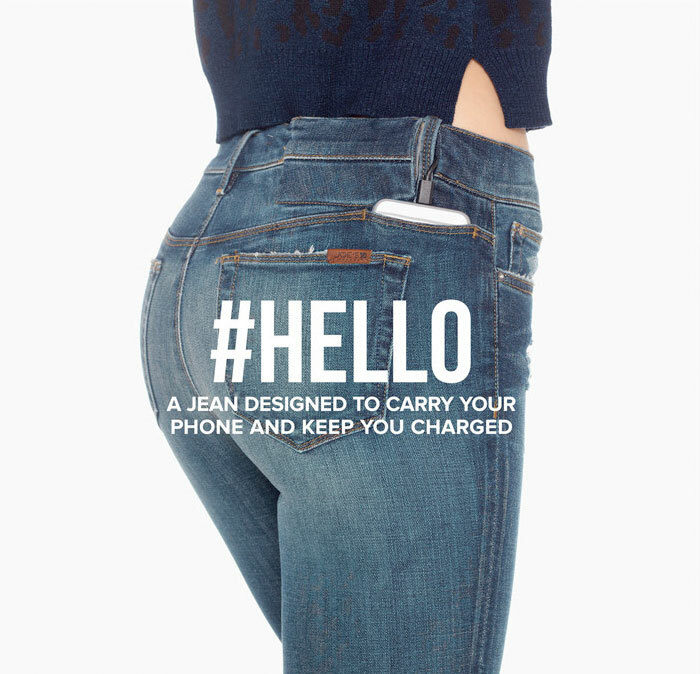 Joe’s has recently taken their own take on this emerging trend—not so much with wearable tech (well maybe), but more like jeans that works with your mobile devices, making it super easy and convenient to truly be connected at the hip with our mobile devices (as most of us are nowadays, in a figurative sense). Of all the denim brands I’ve reviewed, Level 99 is a HUGE favorite of mine. I was a fan even before I had a chance to review a pair, the Tanya in Crawford, for Denimology! Later on I wrote about their innovations in stainless white denim with Forever White, and fadeless black denim with Forever Black. Their incredible fits and super soft Tencel fabrics are just something else, and their efforts with eco-friendly, sustainable wash processes gets major bonus points! Today it’s quite popular for denim companies to hire supermodels as brand ambassadors, so it was only fitting that Level 99 did so too. Level 99 has just appointed Petra Nemcova to represent the Forever White and Forever Black collections! She is one of my favorite models for sure, and the best part is that she’s also a philanthropist! Following her terrifying ordeal in 2004 when the Indian Ocean tsunami nearly took her life on what was supposed to be a dream vacation in Thailand with her fiancé Simon Atlee (who tragically perished), she was inspired to build a charity, the Happy Hearts Fund, which rebuilds safe-resilient schools in areas impacted by natural disasters. Read more about her story here. I believe she is a perfect face for Level 99’s campaign and I can’t wait to see what comes out of it! View the press release below.